Makes sense. I wouldnt be saving much time by making them fresh each time, though with a 2 year old and another one coming in 8 weeks, I am trying to streamline my life as much as possible, lol. I'll be in SF for work next week.....any restaurant recommendations? Colibri Mexican Bistro is good. Johnny Foley's is a really fun Irish pub with great Irish grub. I've never been, but I have heard great things about the Leatherneck Steakhouse, on the top floor of the Marine Club there. 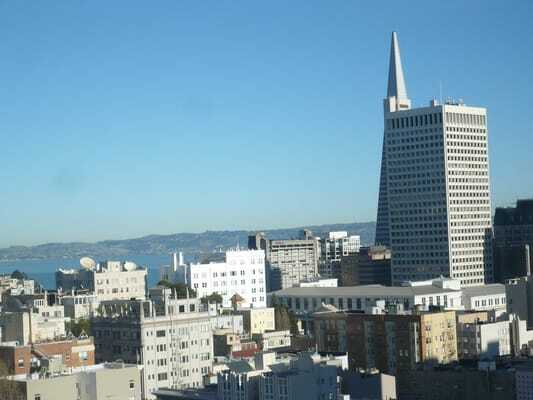 Very reasonably priced and great views of SF. Head to Chinatown for dim sum. Little noodle dumplings filled with pure tasty goodness. Hard to find in a city that doesn't have a big Chinese population. Yes, I wouldn't freeze meat that has been seasoned unless you're able to flash freeze immediately after applying the salt. If you freeze conventionally, the salt will be acting on the core of the ball of meat while the outer bits freeze. Basically, when you thaw you'll have a pretty sloppy mess on your hands and it will difficult to get a pleasing texture with the cooked product. And don't ditch the egg.... just fry it and use it as a burger topping. Mission Chinese, Incanto (or Cosentino's more casual salumeria Boccalone in the Ferry Building Marketplace [which is where the Sat AM farmers market is, too]), and of course the Tonga Room & Hurricane Bar in the Fairmont Hotel. I'd recommend Chez Panisse, too, but it's apparently closed until the end of May. Of course, if you're able to get out of the city - north or south - there are some other recommendations as well. 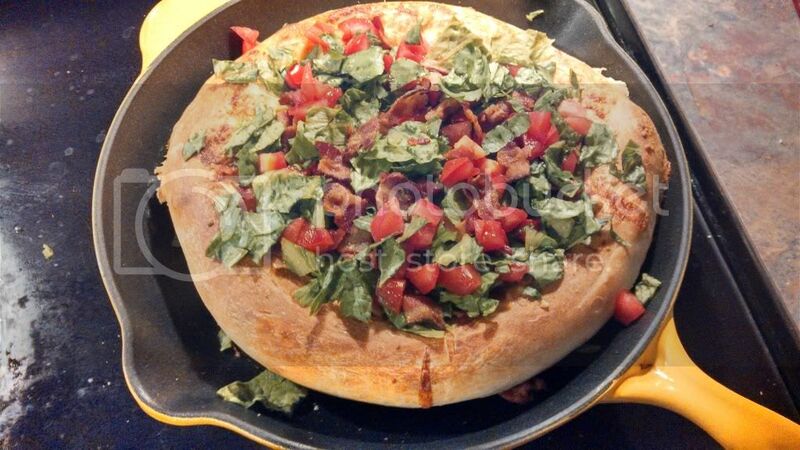 Made a BLT Pizza last night. used mayo, garlic powder and chopped onions as the sauce, baked it with cheese and added bacon, lettuce, tomatoes after it came it. Worked out really well. emergency question: i'm making fried shrimp tonight. i see you're supposed to soak them in buttermilk for a while before cooking. we're milk-free in the shmenguin household. is there a mik analogue i can use? maybe coconut milk? An egg wash should work. For a binder yeah, but allegedly there's something about a buttermilk soak that elevates the shrimp. I think it's related to the lactic acid. The intertubes says that you wouldn't be the first to do that.....I imagine it would meet your needs. columbia wrote: The intertubes says that you wouldn't be the first to do that.....I imagine it would meet your needs. Columbia... when you leaving for SF? My company HQ is out there and I was just at the Hilton on Union Square in January. I can give you some good places to eat. I'll be there T-F nights. Hook me up with any info. columbia wrote: I'll be there T-F nights. Let me compile it up for ya... you like vietnamese? Awesome stuff (cheap too) in Little Siagon. Yes, please.....I'm going to look into some of the places mentioned above, also. If you're in the Union Square area, there was a great little Thai place on Post St iirc. Yum. Tonight's menu was pfefferschnitzel with potato pancakes and a cold Weihenstephaner to wash it all down. ausgezeichnet. the wicked child wrote: Tonight's menu was pfefferschnitzel with potato pancakes and a cold Weihenstephaner to wash it all down. ausgezeichnet. Nothing fancy, just using up the belly side from last week's salmon, and capitalizing on a trip to the local Korean market and IKEA. Had an amazing meal tonight. If you find yourself on the Big Island of Hawaii and are anywhere near Waikoloa Beach, GO TO ROY'S! That's an order. The food and service were impeccable and the prices very reasonable for what you get. We did the pre-fixe and started with an appetizer sampler, braised short ribs and macadamia nut crusted local catch with demi-glace and lobster sauce, potatoes au gratin and asparagus. Chocolate lava cake and pineapple upside down cake were desserts. All i know is that I wish I could figure out how to braise short ribs like that, ****ing goodness were they amazing and don't even get me started on the lobster sauce. Last time we were here, i figured out how to copy-cat my favorite dish of the trip. I have a new challenge. I made crab cakes last night. Man they were good. I don't know why I haven't done this before. Crab meat was about $20 for a pound and it made 4 big cakes. That's pretty good value. It was almost as good as any cake I've gotten from a restaurant. I'll be doing this again, yes.